TAIWAN: The renewables arm of international marines and engineer consultancy LOC Group has signed a memorandum of understanding (MoU) with four other companies to further develop offshore wind farms in Taiwan. LOC Renewables signed the MoU with the CR Classification Society, Taiwan Institute of Economic Research, Taiwan Electric Research and Testing Centre, and Electronics Testing Centre. It will look to enhance the quality, safety and reliability of offshore wind farm construction in the South China Sea region. Under the agreement, the five companies will co-operate and share expertise in construction, research into suitable technologies and marine warranty surveying. The signatories will also host a technical seminar on these topics. RV Ahilan, group director of renewables advisory and energy technology at LOC Renewables said: "LOC has long been involved in offshore wind energy in Asia, having acted as technical consultant on the Bac Lieu wind farm in Vietnam when the first phase began construction back in 2011. "We’re looking forward to bringing this experience, and the vast knowledge we have built up in European offshore wind energy, to the fledgling Taiwanese market — helping it to fulfil its potential." 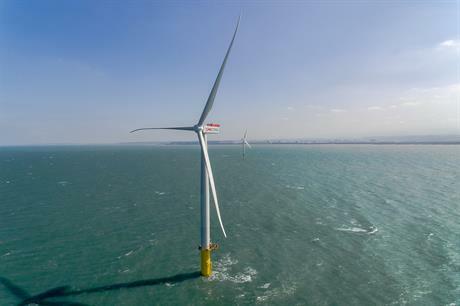 Taiwan was this month identified as being among the top emerging or new markets for offshore wind by wind:research in the analysts’ report, Global Market for Offshore Wind Energy: Status Quo and Market Potentials until 2030. Offshore giants Dong Energy and Northland Power both moved into the Taiwanese market in the last year. Dong opened a new office in Taipei in November and then, along with Australian investment firm Macquarie Capital, acquired the Formosa 1 project, due to have 128MW of capacity across two phases when completed. Canadian electricity producer Northland Power started developing 1.2GW across two projects in the Taiwan Strait, off the country’s west coast, in May 2017. Danish investment fund manager Copenhagen Infrastructure Partners (CIP) acquired three sites off Changhua in the Taiwan Strait with a potential total capacity of up to 1.5GW, also in May.